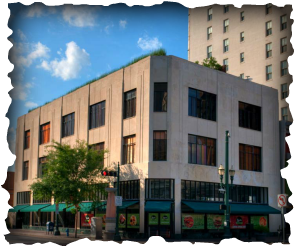 Located in Historic Downtown the Byrds Lofts exterior was meticulously restored from 1934 architectual drawings. It is 3 stories and the first floor houses a restaurant and retail space. The 2nd and 3rd floors are the residences. Amenities include: Controlled Access Assigned Parking, and a Landscaped Rooftop Terrace with Deck, Grill Room and Bar.